What are the transferable skills needed across all sectors of industry and commerce? Simply stated they are PORTABLE SKILLS. 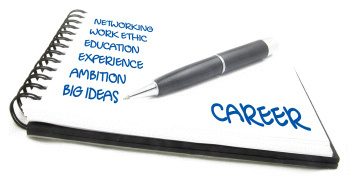 People usually think about their transferable skills when applying for a job, promotion or considering a career change. Employers often look for people who can demonstrate a good set of transferable skills. The good news is that you already have transferable skills – you’ve developed such skills and abilities throughout your working life, perhaps at university, at home and in your social interactions, as well as through any experience in your life. It is often important that you can identify and give examples of the transferable skills that you have developed - this will go a long way to persuading prospective employers that you are right for the job. You may think that a lack of relevant, industry-specific experience will stop you from getting a job but this is not always the case. If you are changing careers, you’ll be pleased to learn that employers are often looking for potential. It is vital, therefore, that you sell your potential by demonstrating the transferable skills that you have developed already. This list is not exhaustive and can vary across employers and occupations.